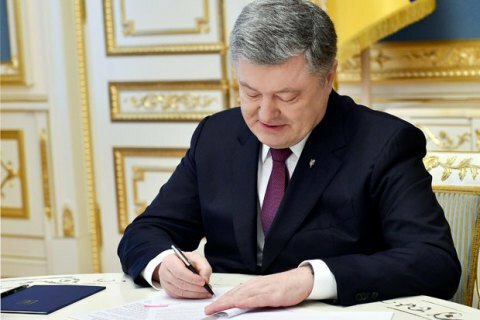 On 26 June, President Petro Poroshenko signed the bill on the establishment of the High Anticorruption Court into law. He did this during a meeting with graduates of the Institute of International Relations of the Kyiv Shevchenko National University. The establishment of this court was one of the main conditions of the West for any further aid to Ukraine. "In fact, apart from the final clauses, the law consists of just two articles. Article 1 – establish the High Anticorruption Court. Article 2 – the location, territorial jurisdiction and status are set by the law on the High Anticorruption Court," he said to the students' applause. The court will be based in Kyiv. Its establishment is to be financed by the Cabinet of Ministers. The Law "On the High Anticorruption Court" has been in effect since 14 June. The document does not actually establish the court but regulates the selection of special judges and the formation of the court.